MELBOURNE CBD RENTAL VACANCY RATES PLUMMETS TO NEW LOW SINCE RECORDS COMMENCED! For anyone with children intending to study in Melbourne in 2019, or looking for a super CBD apartment investment, we have come up with what we think is the best! And the time is NOW perfect. This is a rarely found almost COMPLETED apartment complex a short WALK to the University of Melbourne and RMIT, with great designs, good finishes, and amazing facilities, in the best part of the Melbourne CBD, where dwindling supply and project cancellations, as well as new height limits have dramatically curtailed future supply. PLUS: The lower Aussie dollar means NOW is the time to buy an almost completed apartment to take advantage of this window of opportunity. 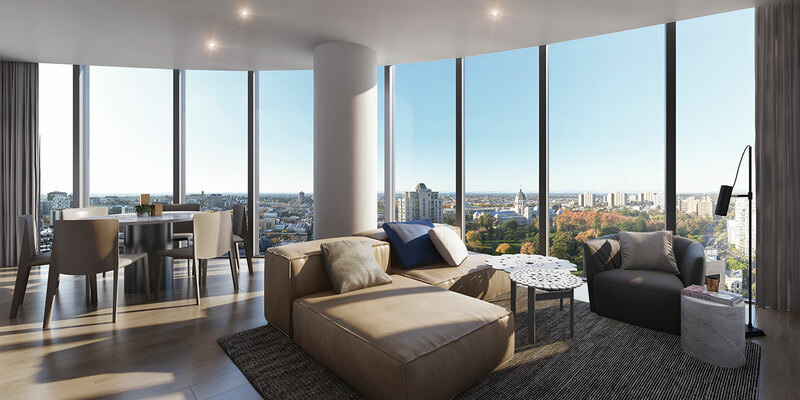 CONSERVATORY features luxuriously appointed 1, 2 & 3 bedroom apartments near the UNESCO World Heritage listed Carlton Gardens in a 42-storey majestic tower. 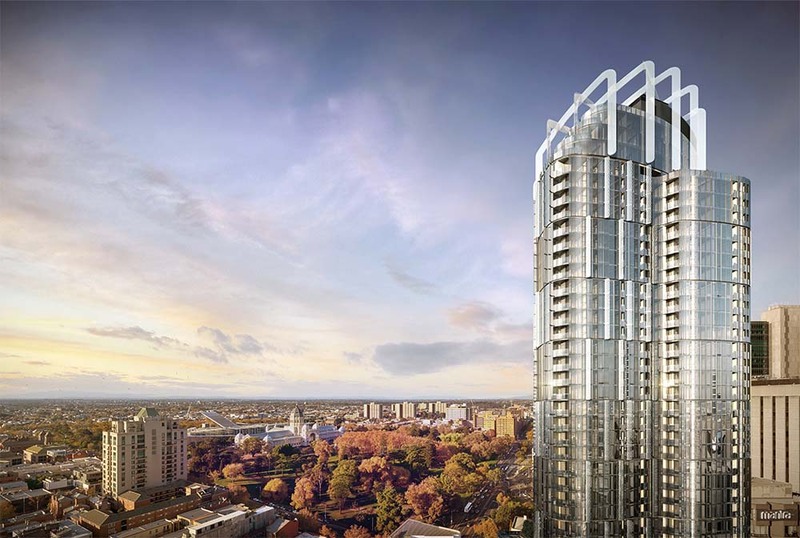 Located on Mackenzie Street with panoramic views over the historic UNESCO World Heritage-listed Royal Exhibition Building and Carlton Gardens, the AUD$320 million project has received an impressive reception in the market. 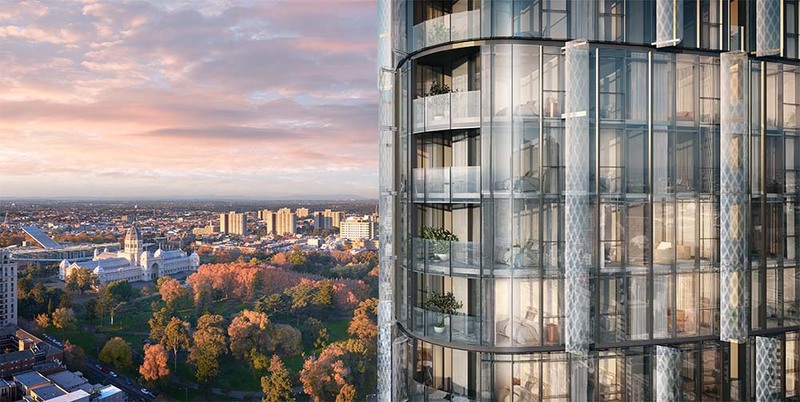 Designed by highly-acclaimed and award-winning architect Professor Philip Cox AO of Cox Architecture, Conservatory is set to become a distinctive part of the Melbourne city skyline with its shimmering façade and glittering crown. It will also have three levels of residential facilities including a pool, gym, private cinema and jacuzzi. Conservatory’s facilities triumphs other developments, with expansive communal recreation and entertaining areas layered in three levels as the tower ascends. 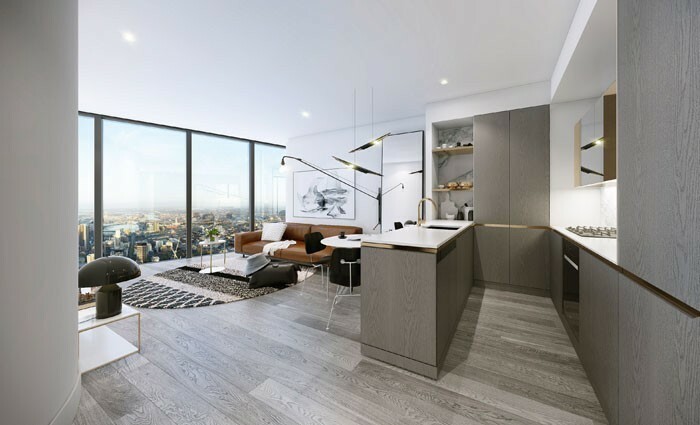 Residents will enjoy The Victorian Terrace, The Royal Banquet and The Carlton Skydeck with breathtaking views over the Carlton Garden and city skyline as the backdrop. Professor Cox in revealing his inspiration for Conservatory said, “Since Victorian times, elegant glasshouse buildings have housed and nurtured tender and exotic plants. Conservatory embraces the true spirit of garden living in the city,” he said. CARLTON GARDENS: a famous and popular inner CBD garden has always been a preferred part of the CBD to live. This World Heritage Site, with its sparkling fountains, sweeping lawns, ornamental lakes and stately trees, has a special place in Melbourne’s history. The modern Museum of Victoria and the IMAX cinema, with the world’s third largest screen, also call the Carlton Gardens home. The development is only steps away from a selection of world-leading universities, shopping, cultural, and dining destinations. 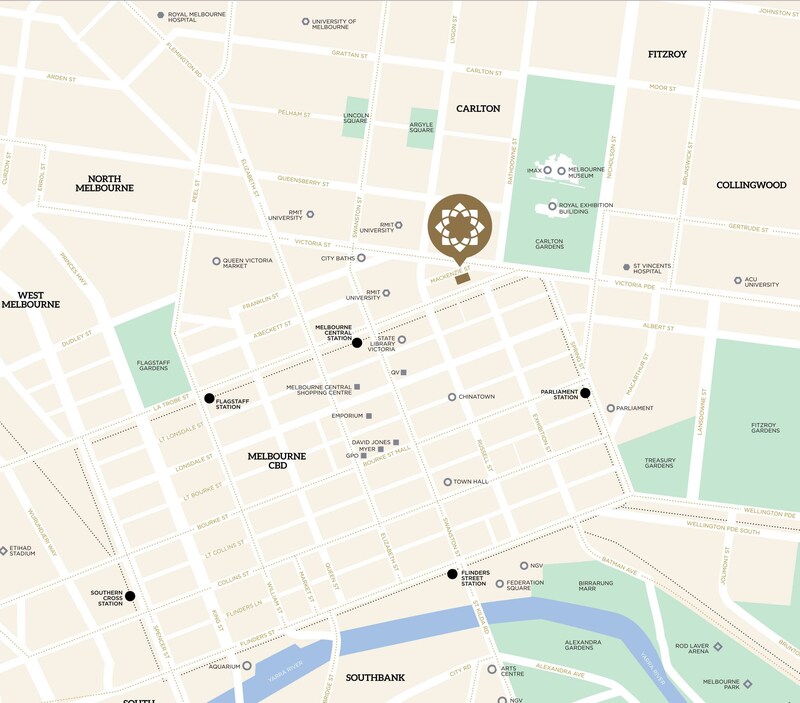 Royal Melbourne Institute of Technology (RMIT) University is only approximately 3 minutes’ walk away and University of Melbourne is just approximately 15 minutes’ walk away from the development. Part of the vibrant Melbourne CBD and Carlton’s food and entertainment precincts are just steps away. Rated with an exceptional high walk score of 99 out of 100. Only 250m from the Free Tram Stop* and 600m from the Melbourne Central Railway Station. 2 minutes’ walk to Carlton Gardens. 6 minutes’ walk to QV Retail Precinct which includes Woolworths Supermarket, Big W department store, and many specialty shops, cafes and restaurants. 6 minutes’ walk to the State Library of Victoria. 4 minutes’ walk to the IMAX theatre which have the world’s third largest IMAX screen spanning at a massive 32 metres wide x 23 metres high. 4 minutes’ walk to Melbourne Museum. 10% deposit is required, with NO FIRB fee needed, and completion is estimated late 2018. 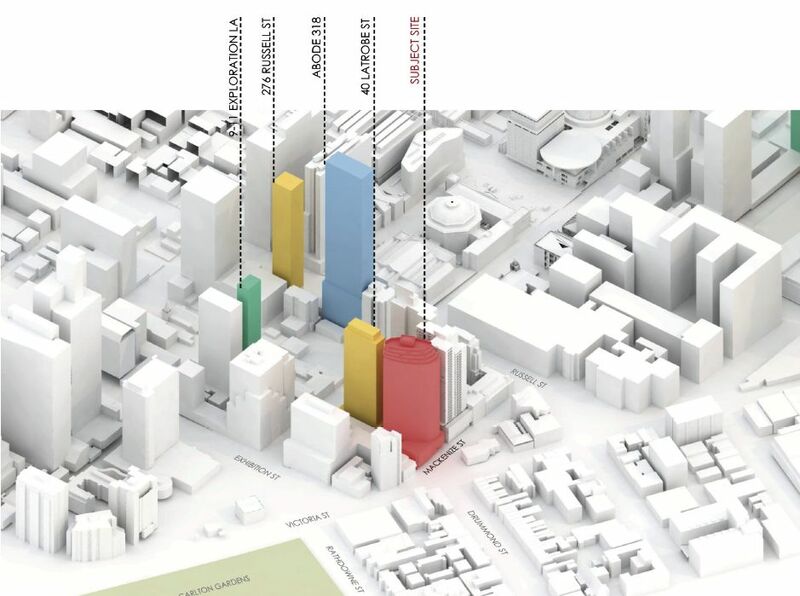 Let us know if you have further questions on the project or would like to see any more detailed plans and recommended units in specific price points! This is a compelling investment and living opportunity. - to 70% loans available at low interest rates from around 3.75% and up to 30 year terms available. - Great resident facilities to attract tenants and re-sale prospects, or for your children to enjoy while studying in Melbourne. - Trams are right outside the front door! Plus a major train station is nearby. - Enormous rental demand with CBD occupancy rates at an incredible 15 year high of 98.9%, and the first time Melbourne CBD occupancy rate is higher than the Sydney CBD! 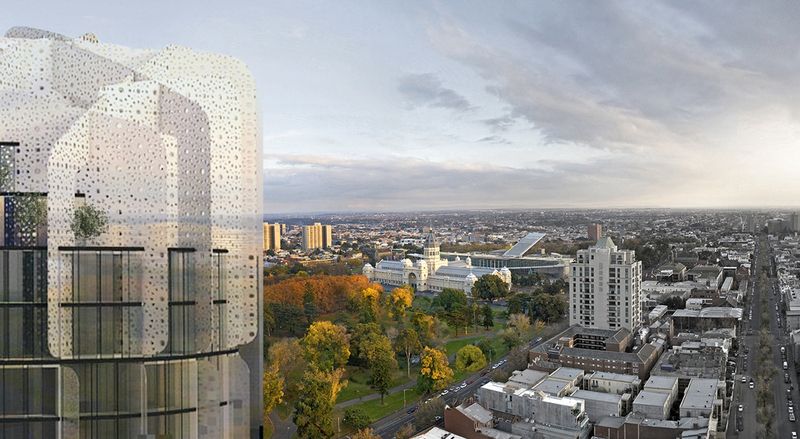 Capital growth of 13.2% in the last 12 months for Melbourne apartments overall. - A very popular and trendy inner city location and close to numerous parks, gardens and nature trails- no wonder this location is so popular in Melbourne. .
- Huge tenancy demand, low vacancy rates, and low current and future supply! - One of the best inner city locations in Melbourne, voted the world's most liveable city 7 years in a row with Australia's fastest growing population. - Strong long term capital growth prospects, and high quality finishes.